All of the professionals at Colorado Center for Digestive Disorders and Colorado Endoscopy Centers maintain the highest levels of accreditation and pursue ongoing education to stay abreast of the latest trends in gastroenterology, endoscopy and hepatology. The staff continually participates in educational opportunities outside of the office through both online educational pursuit as well as meetings. 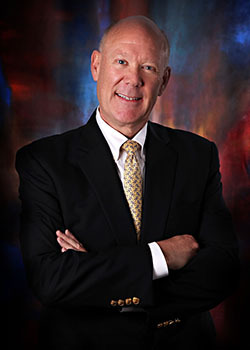 Dr. Jensen graduated from medical school in 1984 from Albany Medical College in Albany New York. Upon completion, he completed a straight internal medicine internship at Albany Medical Center Hospital from 1984 to 1985. From 1985 to 1986 he pursued an interest in radiology. However, he preferred to have direct patient care and returned to Albany Medical Center Hospital where he completed his internal medicine residency in 1988. Accepted into the prestigious three year academic fellowship program at Yale University in 1988, he completed his clinical training during the first two years of fellowship. During the third year of fellowship (1990-1991), he pursued clinical research in the area of portal hypertension and chronic liver disease in the laboratory of Dr. Roberto J. Groszmann. From 1991-1994, he was attending gastroenterologist and head of the Department of Hepatology at the internationally recognized Cleveland Clinic in Fort Lauderdale, Florida. In 1994, he moved to Colorado where he has been in continuous practice. He provides limited services at Avista Hospital and Boulder Community Hospital through collaboration with other gastrointestinal specialists. Primary inpatient care is provided at Longmont United Hospital. He has continued his academic pursuits by participating in numerous clinical studies as well as volunteer teaching faculty at the University of Colorado/Veterans Administration medical Center in Denver, Colorado. He is currently a clinical assistant professor of medicine. Dr. Jensen received his Fellowship in the American College of Physicians (FACP) early in his career (1994). Since then, he has been awarded Fellowship in the American College of Gastroenterology (FACG) and the American Gastroenterological Association (AGAF). He is a member of the American Association for the Study of Liver Diseases and has been named a Peak Performer in 2012 and 2013 by the Society of Hospital Medicine. He has served on both national and local committees including The American Board of Internal Medicine Relevance Review Committee (2004 to 2006), American College of Gastroenterology Publications Committee (2001-2003), Chairman of the Department of Medicine at Longmont United Hospital (2006-2007) and as a past President of the Boulder County Medical Society (1998-1999). A CV can be viewed here. Dr. Jensen's extensive experience and training allow him to focus on a wide variety of digestive disorders. His professional philosophy centers on patient advocacy, continuity of care, communication with his peers and educating patients as to understand the medical issues facing them as well as the rationale for their treatment options. Dr. Jensen is married with two grown children. He enjoys hiking, tennis and bicycling.